Wow look at this sweet ride. 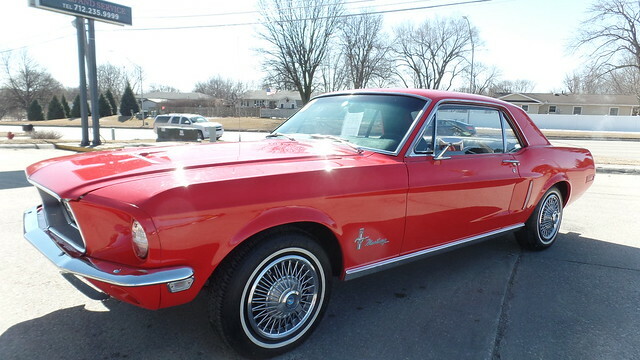 This Ford Mustang was a California car originally and has made it’s way to Iowa. This car has no rust and has had a new paint job. The interior is original and does have some tears around the stitching but otherwise is in great condition. It has a 289 engine that has been fully rebuilt. Come take a good look at this beauty.